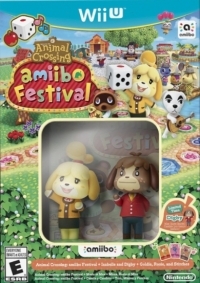 Description: Comes with the Isabelle and Digby amiibo, as well as three amiibo cards: Goldie, Rosie, and Stiches. Box Text: Explore a board-game town with Animal Crossing characters! Collect Happy Points and Bells in Animal Crossing board-game town. Use your Happy Points to change outfits. Tap amiibo to the NFC touchpoint. Your amiibo figures become your game pieces. Play eight mini games using amiibo cards*. 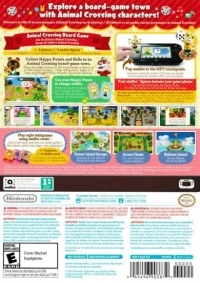 10-22-2015 gitaroo Description Comes with the Isabelle and Digby amiibo, as well as three amiibo cards: Goldie, Rosie, and Stiches. This is a list of VGCollect users who have Animal Crossing: amiibo Festival + Isabelle and Digby + Goldie, Rosie and Stitches in their Collection. This is a list of VGCollect users who have Animal Crossing: amiibo Festival + Isabelle and Digby + Goldie, Rosie and Stitches in their Sell List. 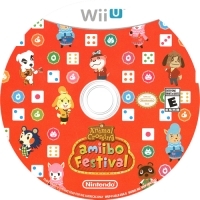 This is a list of VGCollect users who have Animal Crossing: amiibo Festival + Isabelle and Digby + Goldie, Rosie and Stitches in their Wish List.